Alopecia disease is characterized by round patches of hair loss. According to the American Academy of Dermatology, 2 percent of Americans will develop alopecia areata in their lifetimes. The cause of alopecia is unknown and people with this disease tend to be in good health. Alopecia affects individuals across ages and ethnic groups, but children and young adults are more commonly affected. According to the University of Maryland Medical Center, the two main types of alopecia are alopecia areata and androgenic alopecia. Alopecia areata is an autoimmmune disease where the body attacks its own hair follicles, causing hair loss. Androgenetic alopecia is inherited. Other forms of alopecia include alopecia totalis, which is hair loss of the scalp, and alopecia universalis, which is the loss of all body hair. It is common for people with alopecia to lose and regrow hair repeatedly. People may suffer from soreness and itching before hair loss, but symptoms generally are very mild. Alopecia is not contagious. Some scientists believe that both nature and nurture play a role in the development of alopecia in an individual. It is theorized that people affected by the disease are genetically predisposed to factors that may eventually trigger the disease. Scientists speculate that other possible causes include aging, malnutrition, or side effects of medication. Hair regrowth is common with alopecia areata. Hair tends to grow back within six to 12 months and in some cases the hair grows back white. After a few years, it is possible that the hair will return to its normal color. The hair may also have a very fine texture when it regrows as well, but it also is possible that the hair will return to its normal texture. There are currently no cures for allopecia, but treatments include steroid injection and ultra violet therapy. In many cases, the hair will grow back on its own. 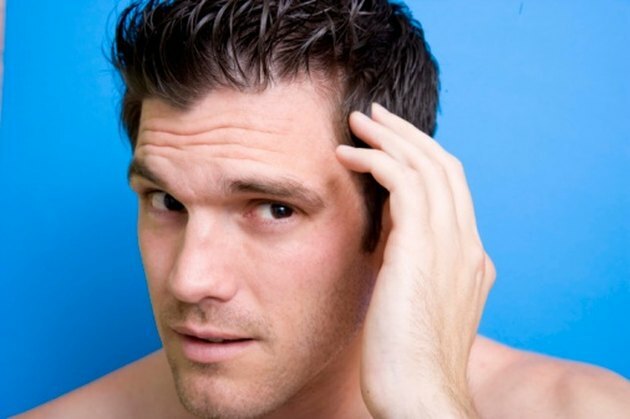 Men suffering from male pattern balding may consider treatments such as hair transplantation or medication. Corticosteroids may also be prescribed to treat alopecia. Herbal remedies, massage and aromatherapy are a few alternative approaches that are also used to treat hair loss. Doctors may diagnose alopecia by performing a skin biopsy. Hair loss in a society that is heavily focused on youth and beauty can be a challenge for any individual. Luckily, alopecia is not a serious illness in relation to your overall health, and for the most part individuals are still able to live happy, normal lives. Research is still being done to better treat the different forms of alopecia. What are the Causes of Hair Thinning on the Side of the Head?